Creative Cultures: Support us with edible credits. 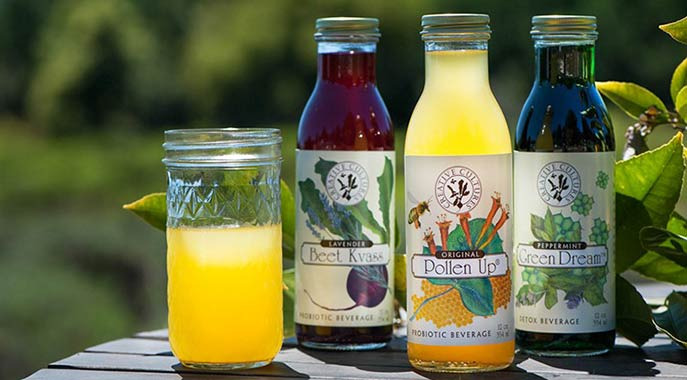 Creative Cultures makes totally unique artisan tonics: Beet Kvass, Pollen Up, and Green Dream....Fizzing with surprising flavors... booming with billions of live, medically-proven probiotics... teaming with live enzymes. No cutting corners in quality and purity, ever! We use pure spring water, and local, sustainably harvested ingredients. Creative Cultures offers innovative Fermentation Inspiration through hands on classes and on-line seminars. Be sure to check out our website to see what classes or events are bubbling up near you. Your prepayment will help us get new, stainless steel fermentation equipment to help us scale our production so we can spread our message of health & vitality across Northern CA, and Southern CA, and eventually nationwide! At the register, use the Credibles app on your smartphone to redeem your credits for Creative Cultures.